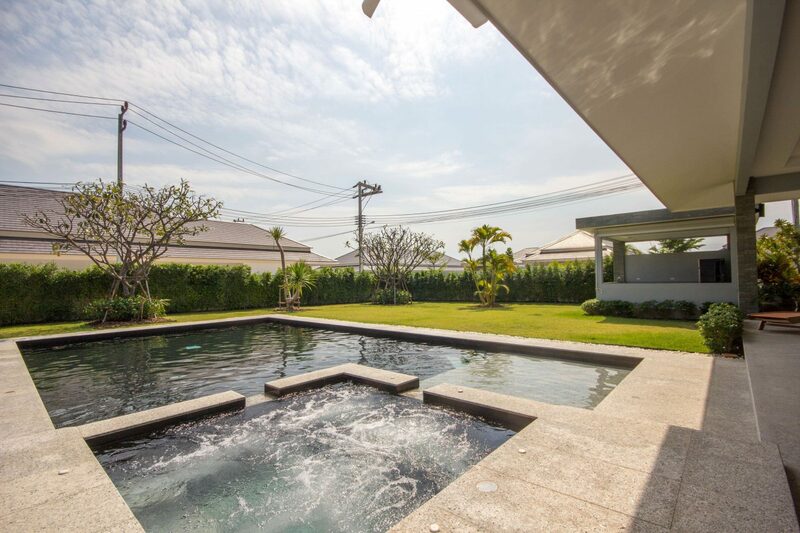 This luxury villa is on the secure Palm Pool Villas estate which has recently won “Best New Development In Thailand” at the prestigious Thailand Property Awards, 2015. 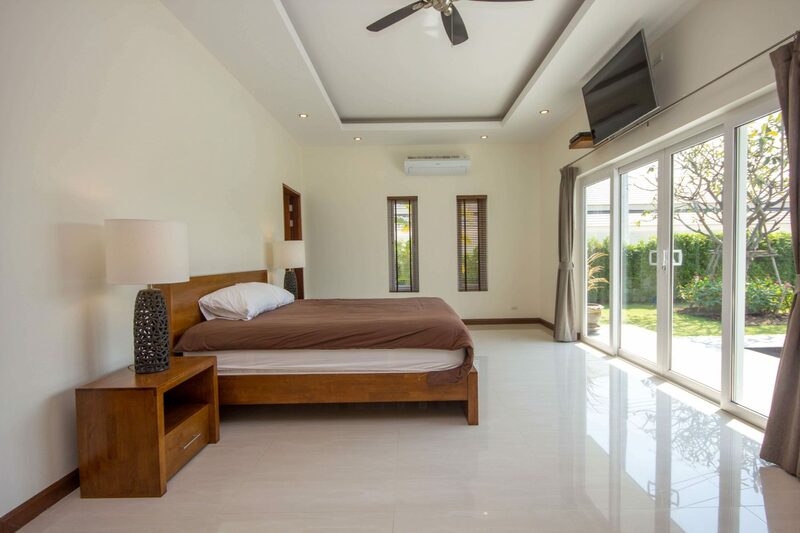 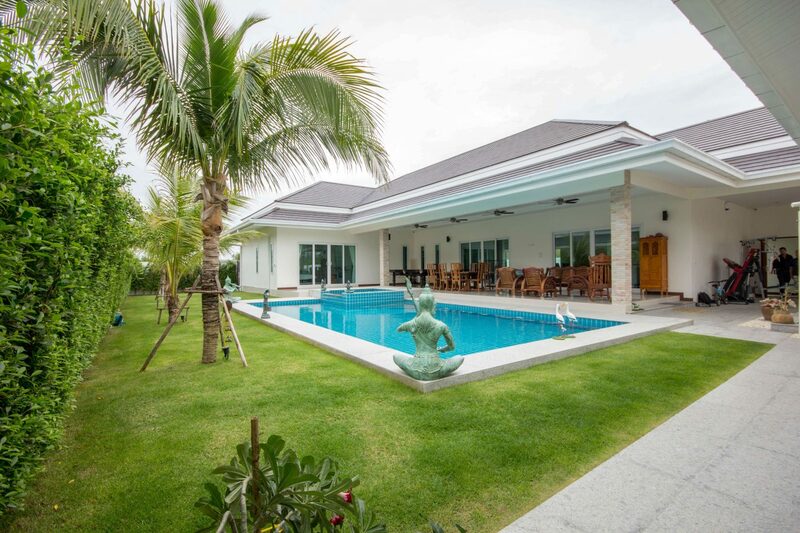 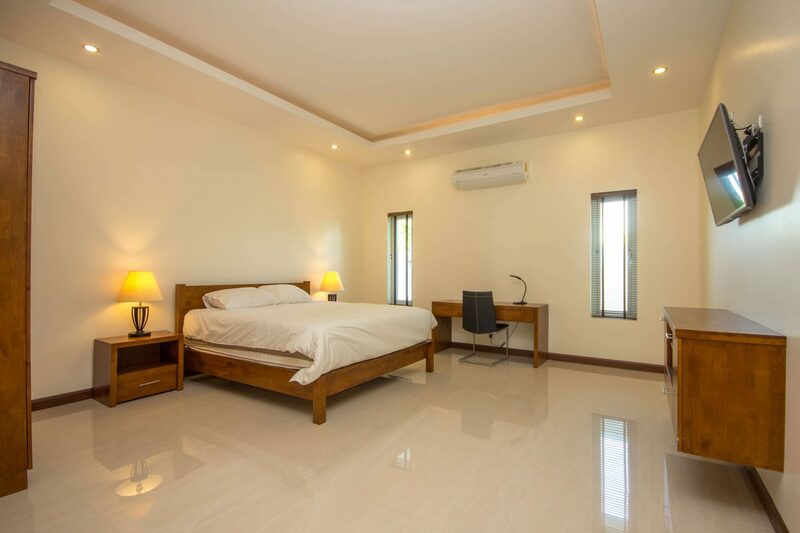 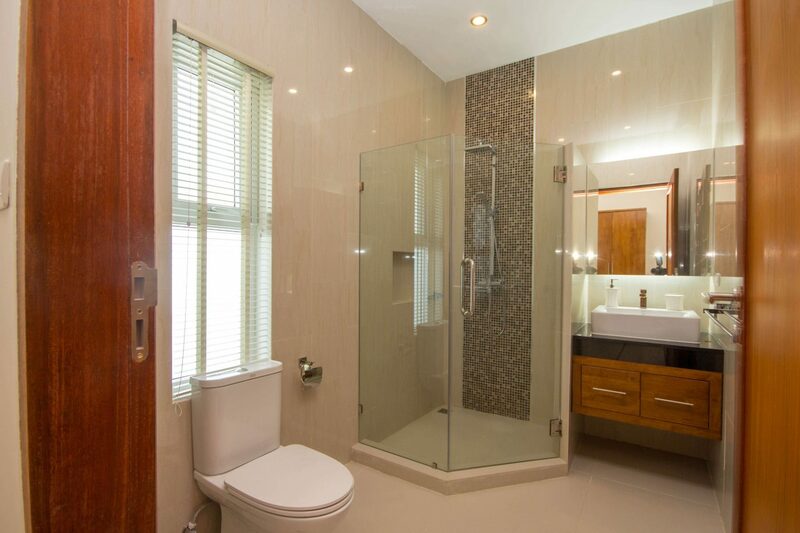 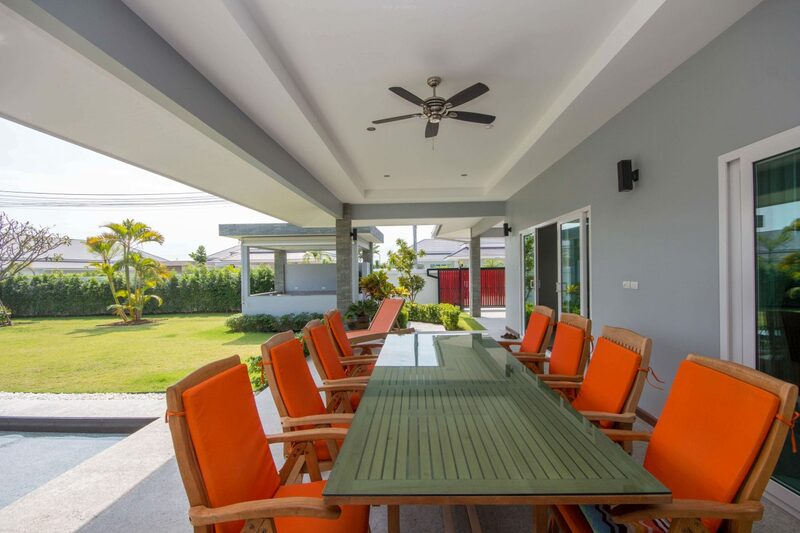 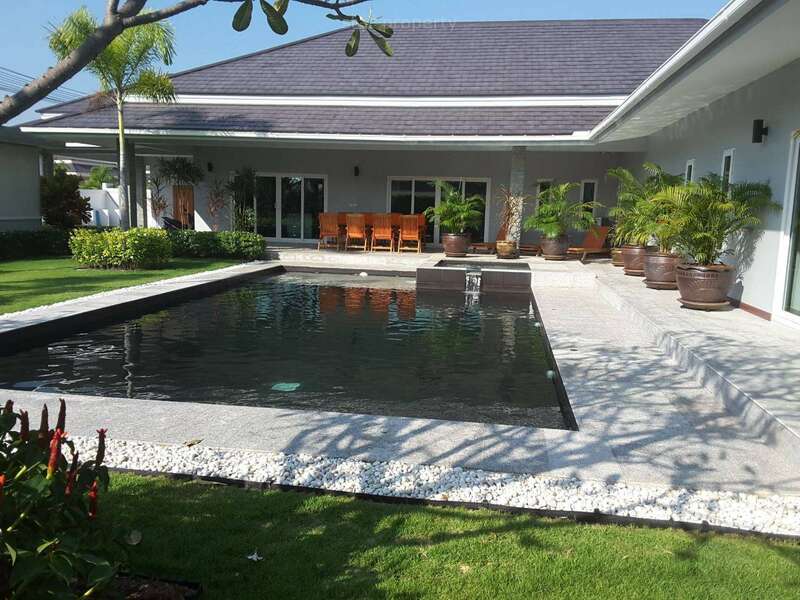 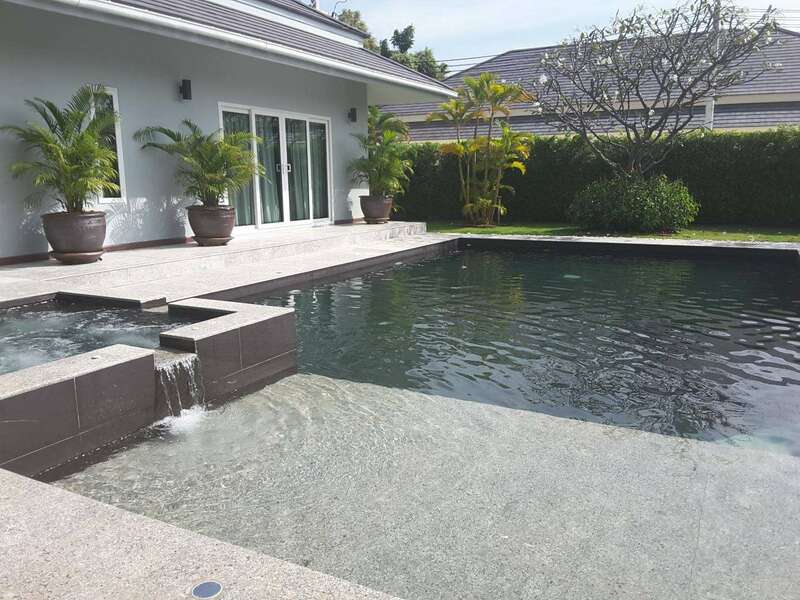 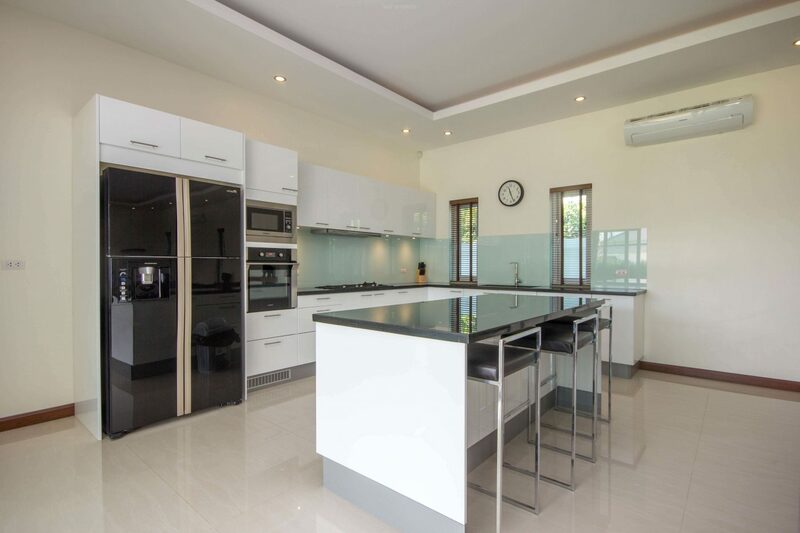 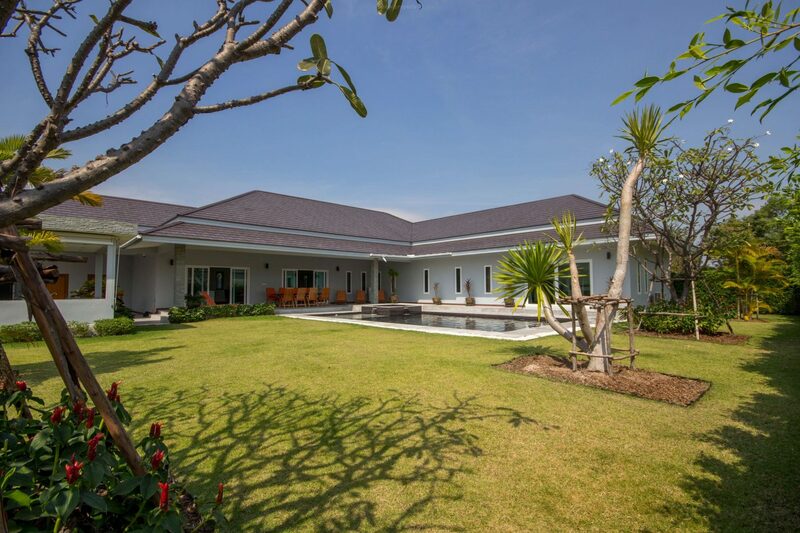 Located towards the north end of Hua Hin, approximately 10 minutes drive from the city center. 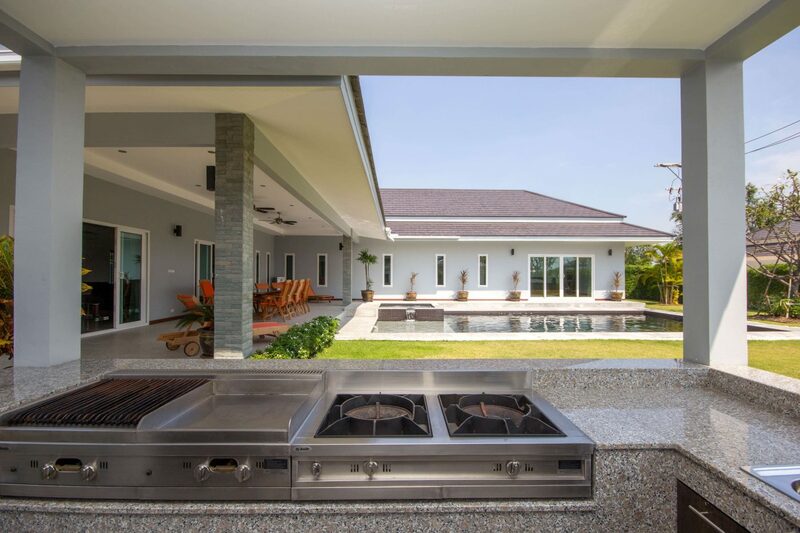 Outdoor covered BBQ with fridge and kitchen. 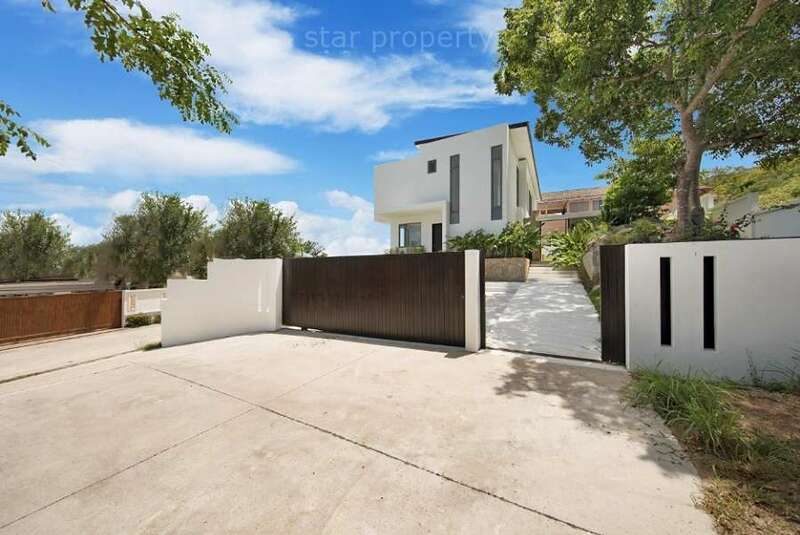 Double car port with lots of parking space. 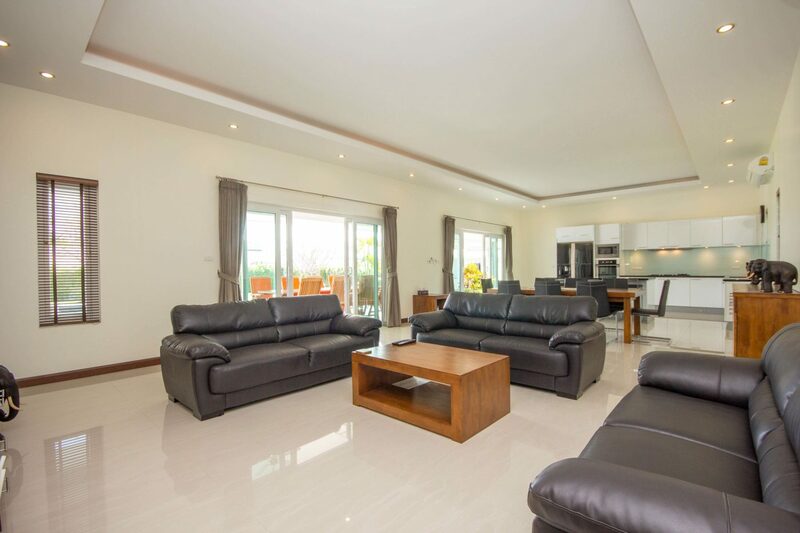 Storage room and separate laundry room next to car port.